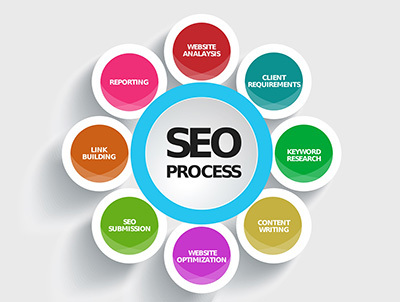 Search Marketing (SEM), or Search Engine Optimization (SEO), is a complex, ever changing process. Search engines constantly change their algorithms, shuffle their indexes, merge results and share content. The only consistent thing about marketing your website to them is that what works really well today probably won’t work so well tomorrow. That’s why you need an experienced search marketing professional who keeps two fingers on the pulse of the major search engines. If Google hiccups, we know about it. If Yahoo! gets stubborn, we’ll coax those rankings back to the first page. 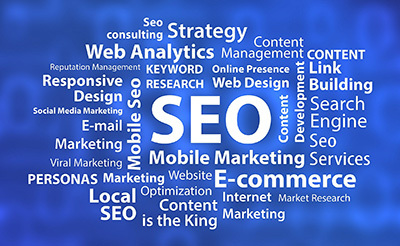 Search Engine Optimization (SEO) is at the core of your online marketing plan. It gets your site listed at the top of the search engines for your most highly searched keywords. This translates into more targeted traffic to your website, and therefore more leads or sales. Working with search engines is a long-term, high maintenance relationship and we’re dedicated to managing that relationship so you don’t have to, and at an investment you can feel good about. So How Exactly Does SEO Work? This is the million dollar question. And we can almost guarantee you that for every person you ask, you’ll get a different answer. That’s because marketing to the search engines is like any creative endeavor: cooking, painting, carpentry, etc. If you ask five people to bake a cake, you’ll get five unique cakes each with different ingredients. Ask ten people to craft you a chair and you’ll get ten distinct pieces each with its own style. Because the search engines change their ranking algorithms (the equations they use to analyze a website’s reputation and rankability) so often, and they each use such widely varying criteria, there are literally hundreds of ways to promote your site to the first page of search results. However, there are certain universal guidelines regarding what central principles and elements are vital to your search marketing strategy. There are also very clear rules against certain practices that attempt to cheat or trick the search engines. Content will always be your key ticket to top rankings. Without it, any rankings achieved will be short-lived. For content to help your ranking, however, you need a lot of it and it has to be updated regularly. Most importantly, each page of content must target a specific keyword term. However, if your site possesses content that is auto-generated or is poorly written, i.e. a human visitor would not find it useful and informative, the search engines will figure it out and demote your site, possibly even blacklisting you and preventing you from showing up in their results at all. We develop well-written, keyword targeted content for your site that is updated consistently and monitored for rankability. Your business will enjoy the added benefit of an ever-growing resource library of information that your site visitors will enjoy and which will also help with your sales conversions. More specifically, one-way links from authoritative sites in your niche market. You can find out how authoritative a site is by looking at its Page Rank. Page Rank, or PR, is a ranking system Google devised to show how much weight or authority a particular site has. No one can say the exact methodology Google uses to assign Page Rank, however all SEO experts agree that it largely has to do with the amount of incoming links a site has, how long it’s been around, and visitor activity on the site (yes Google even knows how long someone remains on your site after they click through from the search results!). What this means for you is that you want as many high PR sites linking into your site as possible (without you linking back to them). This is because Google gives these sites a lot of respect and values their “recommendations” signaled by who they choose to link to. Google and the major search engines analyze your website the way scholars judge academic papers. The more journals and other reputable papers cite your research and quote you, the more authoritative and “expert” you become. We can negotiate inbound links on your behalf, concentrating on links from sites related to your market whose reputation thematically relates to the reputation you’re trying to build. We also make sure these links deep-link into your website, meaning that they link to various pages in your website, rather than just to your homepage (also a sign that you’re highly authoritative). Google knows everything. Other Search Engines like Yahoo! and Bing aren’t so far behind. If a visitor clicks from their search engine into your site, and leaves immediately, Google knows that they didn’t find what they were looking for. If too many people do this, Google will drop you from their rankings because they assume you’re not relevant for that particular term. This is why site design and compelling content are important. Google wants to know that a human is running the show. Automated SEO software, or any techniques that add hundreds of pages to your site within a week, or which create content automatically, are a dead giveaway that you’re doing something Google doesn’t like. This won’t just get you knocked off the top 10 rankings – Google and other search engines will ban your site from ever showing up in their results – even when someone searches your exact domain name. This is why any illegal or unethical techniques will kill your business. 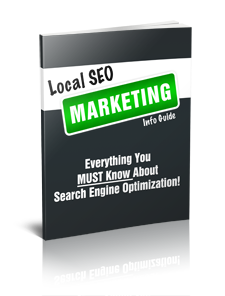 Search engines may be vague about what you can do to get top rankings. However, they are not vague about those practices that will get you banned from their rankings. For instance, Google provides Webmaster Guidelines that detail what you are NOT to do when promoting your website. When you are looking for an SEO professional, be aware of these illegal techniques and the different “pet names” given them by dubious fly-by-night companies. We’ve provided several of them here for your easy reference.